A fully featured Personal Video Recorder (PVR), allowing you to schedule TV recordings and view and pause live TV. 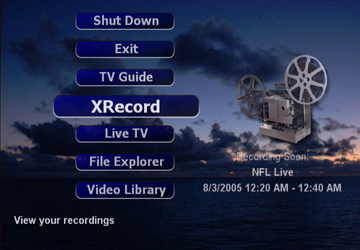 NextPVR (formerly GB-PVR) is a fully featured Personal Video Recorder (PVR), allowing you to schedule TV recordings and view and pause live TV. In additional to this PVR functionality, it also acts as a media center allowing you to watch movies, listen to music, view pictures and listen to FM radio. GB-PVR also supports specialist hardware decoders including Sigma Designs XCard, Hauppauge PVR350 and Hauppauge MediaMVP. 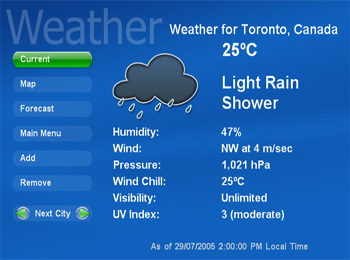 GB-PVR also supports multiple tuners, allowing you to record more multiple channels at one time. This is a fairly minor release, rolling the patches posted for 4.2.3 into the main release, plus a couple of other minor fixes and improvements. - improved resilience to handling garbage in the stream. Previously would crash for some reception gitches. - improvements for detecting season/episode numbers in the description of DVB EPG listings. - fixed issue where sometimes viewing the details of a channels wouldn't select the existing schedules direct EPG mapping. - fixed an issue with artwork when year was present in show titles (from DVB EPG etc). - fixed issue that could sometimes lead to live tv slip files being left behind after streaming to Kodi.